welcome to World War I Bridges (2012-2018), the Italy-based radar of First World War legacy and initiatives in the pipeline for the Centenary. Our interests were in the "units" here below and military equipment was not on the top of our minds. You can surf this site also starting from these "units". Why Bridges? The armies used to explode the bridges in war operations. We tried to build new bridges during the WWI Centenary timeframe from Maserada sul Piave, a small Italian village along the Piave River. * For inquiries related to the contents featured in this web site, please use the contact form here below, thanks. Tabacco maps for iPod Touch, iPhone and iPad. As for our suggested itineraries, though every possible effort to provide accurate information on this site, you are solely responsible for interpreting and using this information to organize your trip and excursion and to evaluate all potential hazards according to your own capacities and risks inherent to the different natural environments. Maserada sul Piave is a small town in the North-East of Italy (Venice area), located in the middle course of the river Piave. 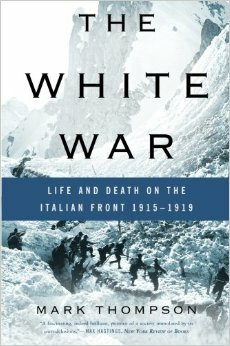 After the notorious rout of Caporetto (October 1917), the river Piave became the Italian extreme defensive front. This location and the river Piave are particularly interesting in the scenario of the three main battles of the last year of the Great War: the First Piave Battle (November 1917), the Battle of the Solstice (known as Battle of Middle June 1918) and the final Battle of Vittorio Veneto, that led to the Armistice between Italy and Central Powers. In this locations, the British and the Italian armies faced together the Austro-Hungarians. The British Army was stationed here and that's why our village is an example of a location shared by two national armies cooperating in war operations. The museum located in the village is aiming to become a reference point in Italy for the history of a foreign contingent, namely what we know as the British Campaign in Italy 1917-1918. Since 2008 it has been building local and international partnerships in order also to create events and organize battlefield tours in this area. Can you build a WWI Bridge with us? If you're a Great War enthusiast; if you think of having something interesting to point out; if you think that the memory of the Great War should grow around a network of people constantly sharing views on this; if you think that war was not and is not only a matter of weapons; if you stop a second when you read the words "First" and "World"; if you sometimes think that the Great War centenary is getting closer; if you quiver every time you watch Stanley Kubrick's Paths of Glory; if you strongly believe that the real challange is to find new strategies to tell the story of this war to the digital natives. Briefly, if you discover yourself twanging like a chord every time you get close to this topic and if you wish to throw new bridges around First World War knowledge, we would be more than happy to listen to your suggestions, comments and opinions. Please take a look also to the web site of the friends of the Maserada World War I Museum and write your emails to this address. You may also follow us on Twitter. Thank you for connecting though WWI Bridges! 2012 - 2018, World War I Bridges - Maserada sul Piave - Treviso - Italy. Powered by Blogger.